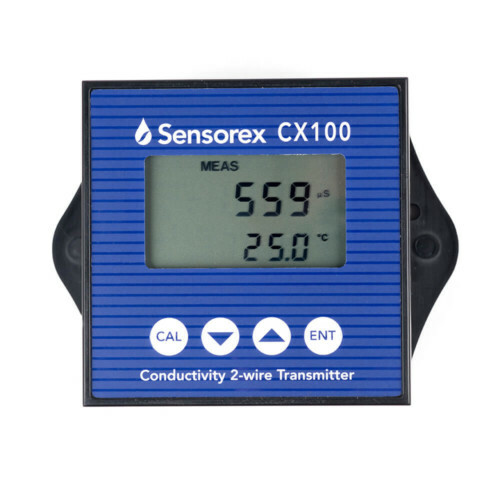 The CX10 is a convenient and cost effective solution for monitoring conductivity or resistivity of water. Save space in your panel with the small footprint 1/8 DIN case. 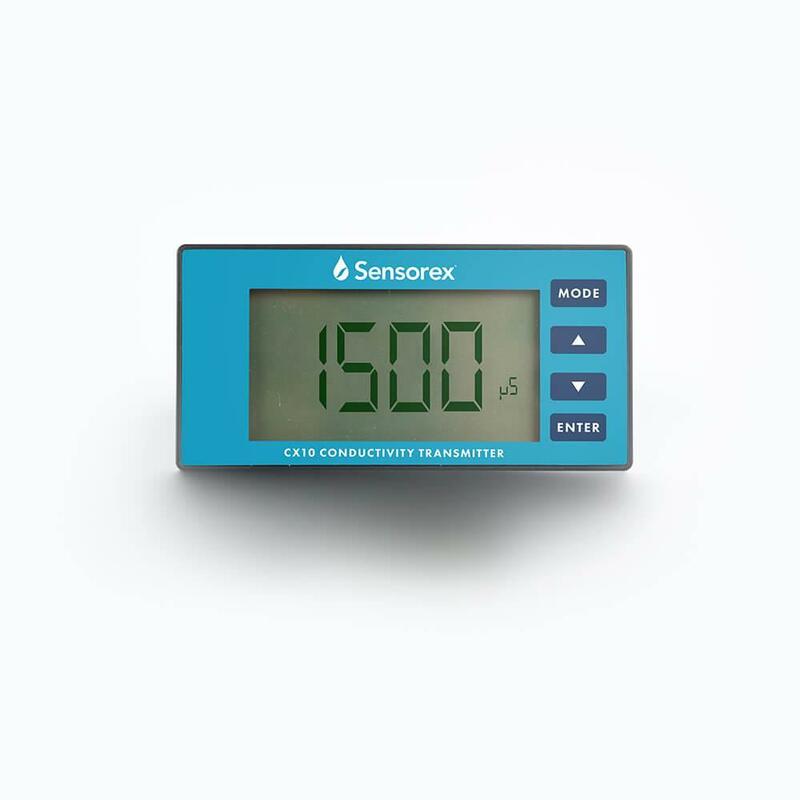 This EC transmitter displays conductivity or resistivity readings on an easy to read LCD screen. The 4-20mA signal output can be conveniently integrated into a range of process control systems. 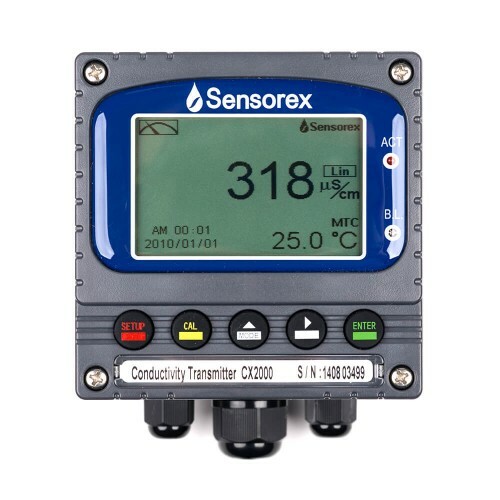 Note: This EC transmitter is only compatible with sensors that have spade lug or tinned lead connectors and 10k NTC temperature compensation.